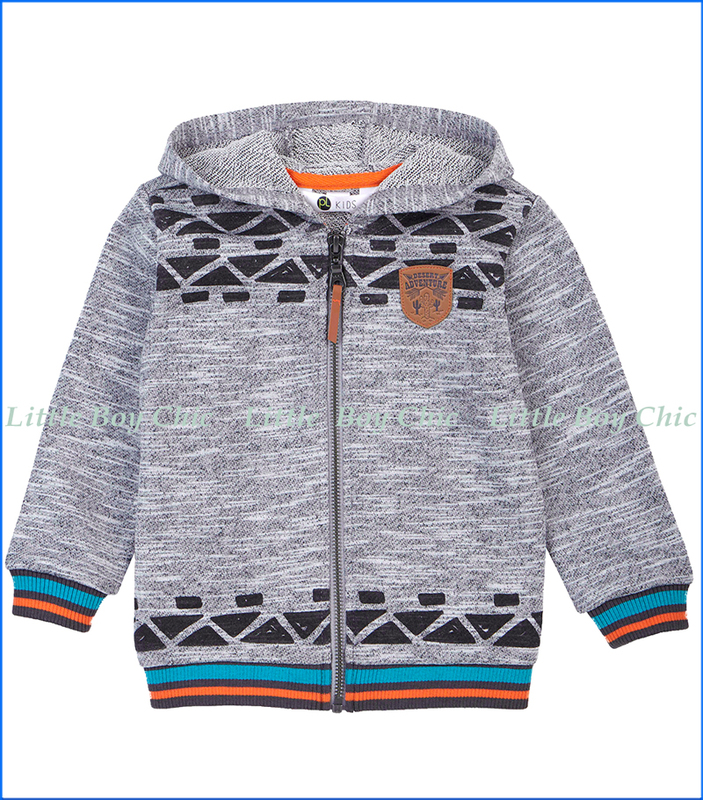 This southwestern-themed sweatshirt by Petit Lem is a favorite. Dual blend fabric provides a soft hand feel and a bit of stretch. Geo border prints on top and bottom near the hem. Heathered lightweight knit. Full zipped front closure. Attached hood. Striped color ribbed knit trim and cuffs.